India McGuire’s peaceful life is shattered when on the night of her engagement to David Richards, she comes face to face with Chase Porter, a long lost love. India must come to terms with her overpowering feelings for Chase and choose between David, the neighbor who says he loves her, and Chase, the man who broke her heart. Chase’s plans of leaving quietly turn to disaster when he finds that it’s impossible to disappear without seeing India one last time. Feelings begin to surface that he believed buried forever and he finds himself fighting to win her back even as David struggles to hold onto her. India longs to follow her heart, but she’s been hurt too deeply. Who will she choose? The neighbor who can provide stability or the man she vowed to love forever who may once again heed to the call of the open road? 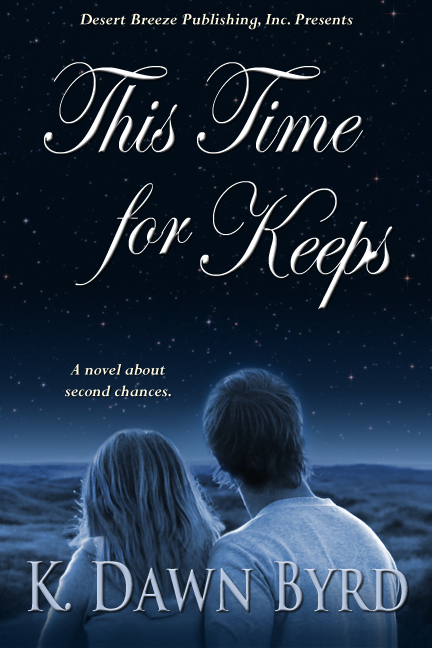 This Time for Keeps kept me guessing for much of the book. Just as India McGuire has an engagement ring slipped onto her finger, there is a knock at the door. The man she had loved so long ago, whom she had never gotten over, stood before her. As India’s thoughts vacillated between the two men, I was never quite sure who she would choose – not for a long time, anyway. That doubt kept me turning the pages along with the questions over her fiance’s character – was he really the honourable man he made himself out to be? All in all, a great read. I recommend this book to those who love a good romance and appreciate the opportunity for second chances. 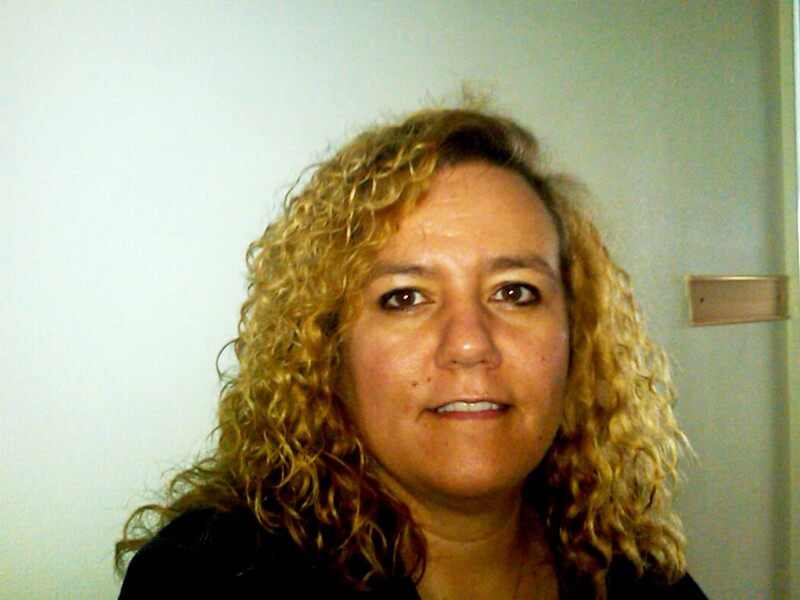 K. Dawn Byrd is an author of inspirational romance and romantic suspense with four books published through Desert Breeze Publishing so far. Recently, she tried her hand at young adult fiction and found that she really enjoyed writing it. Four new young adult releases are scheduled for 2012. Three books are part of a new college-age mystery/romance series, scheduled to release January, June, and December. The fourth is Shattered Identity, the sequel to Mistaken Identity, and will release in April. K. Dawn Byrd is an avid blogger and gives away several books per week on her blog at www.kdawnbyrd.blogspot.com, most of which are signed by the authors. She’s also the moderator of the popular Facebook Christian Fiction Gathering group at http://www.facebook.com/#!/group.php?gid=128209963444. When not reading or writing, K. Dawn Byrd enjoys spending time with her husband of 15 years while walking their dogs beside a gorgeous lake near her home and plotting the next story waiting to be told. Thanks so much for the wonderful review!